The logistics section of a company as large as Apple may soon have to respond to major changes. Considering the brand's international presence and preference for revolutionary product lines, major shifts can obviously demand a lot from participants. The Wall Street Journal reported on a seemingly superficial change that could actually have large repercussions for suppliers, depending on how it plays out. The Journal said Apple is currently considering several different prototypes, one of which includes "organic light-emitting displays," also known as OLEDs. While these are supposedly more flexible than standard screens and simpler to light up, two executives quoted in the source, Mitsuru Homma of Japan Display and Tai Jeng-wu of Sharp, both cast doubt on the future of the OLED market. This despite research quoted in the source from IHS Markit showing the OLED sales soaring above LCD output in the coming decade. "Apple is often the subject of rumors, making it sometimes difficult to tell the company's actual plans." 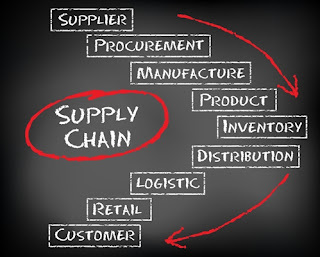 Making any major product changes can impact the supply chain, but this situation in particular comes with some wrinkles which could make the shift particularly difficult. It perhaps doesn't help that Apple, like other technology giants, is often the subject of rumors, making it sometimes difficult to tell the company's actual plans. Competition vs. skill: As Forbes pointed out, Apple faces something of a dilemma when it comes to choosing an OLED supplier. It likely wants to distance itself from Samsung, a competitor, while still finding a partner that's able to provide. That could limit the business' choices and force it to make some compromises in the name of faster production. Higher expectations: If Apple does commit to this technology, it will probably be under pressure to perform well, which could in turn translate to a need for higher performance quality from suppliers. The pressure of innovation: It's not just the suppliers that could face high demands. Apple also has a reputation as being on the forefront of innovation, or at least has in the past, putting its new product under scrutiny before it's even been confirmed. Forbes also referenced the need for Apple to balance its new elements, such as the OLED, with the functions it will have to include in the phone, like a front-facing camera. Similarly, the company will have to be both a product leader and a part of the OLED trend. Even if it works with experienced OLED suppliers, Apple might have to find a way to accommodate its specific phone body. The different links of the chain can bring complexity to the production process. Supply Chain 24/7 referenced that Apple's chain might not actually be as complex as others, such as Amazon. According to this, Apple's supplier list is "manageable" compared to the many that Amazon has to work with. Apple's catalog also only includes 26,000 items which last year-round, as opposed to Amazon's millions of products, some of which are only seasonal. Purchasing management along with other services can enable companies to be strategic when they choose an efficient way to channel products. WOSB: Is the Program Working? 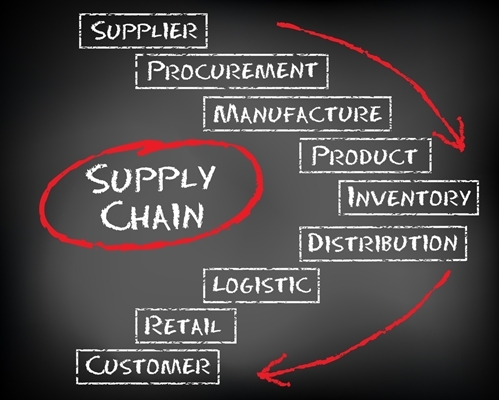 What's a 'normal' supply chain accident?